Ensure that RAPS members are prioritizing your organization in their buying decisions! 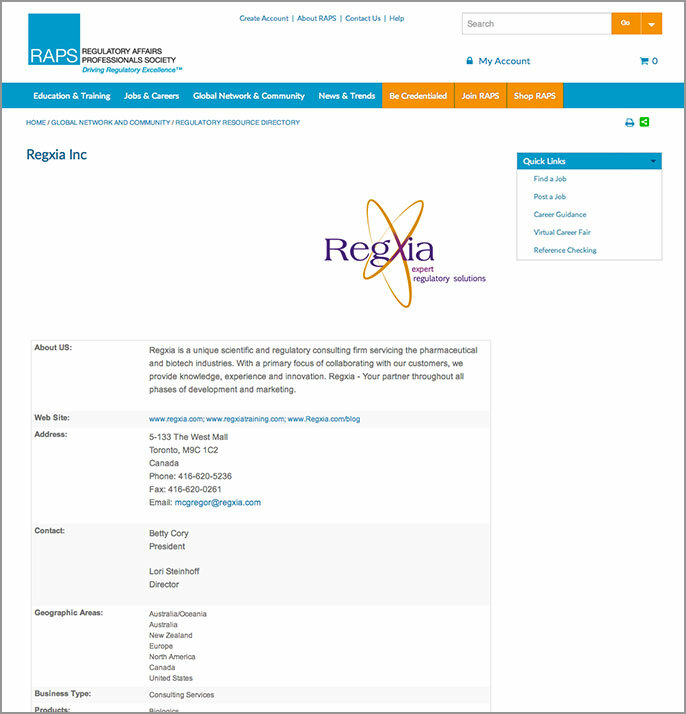 The RAPS Regulatory Suppliers Guide is a dedicated resource for company profiles and services for the regulatory community. Company profiles will be featured online in our searchable directory. Listings are annual subscriptions and allow subscribers to provide their contact information, logo and a 100-word company description summarizing their product or service. To gain additional exposure and brand recognition, subscribers can elect to have their logo included in their company profile with a direct link to their homepage. Include “Alt” text and URL. Logos/pictures must be saved as JPG or GIF (no animation) at 72 dpi.